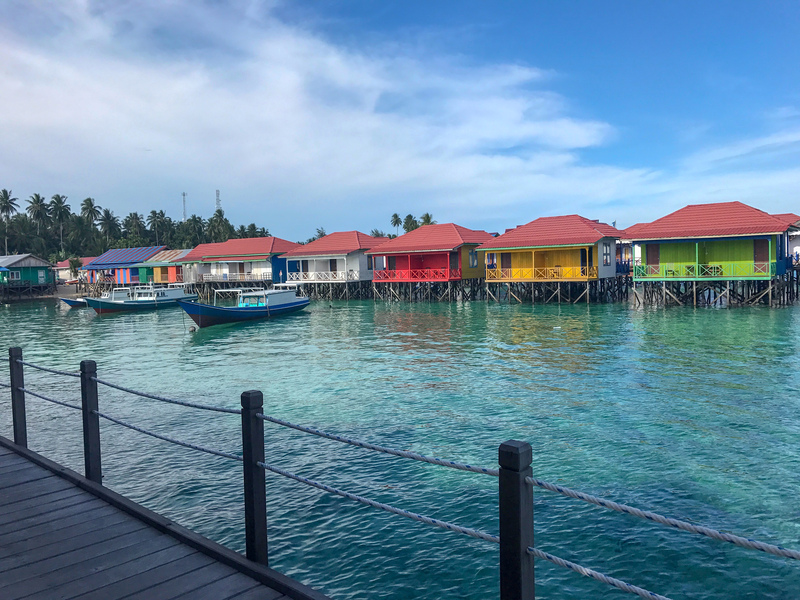 We spent 4 days diving with Scuba Junkie Sangalaki on Indonesian Borneo’s “Derawan islands” and I can’t even begin to express how special this area is. 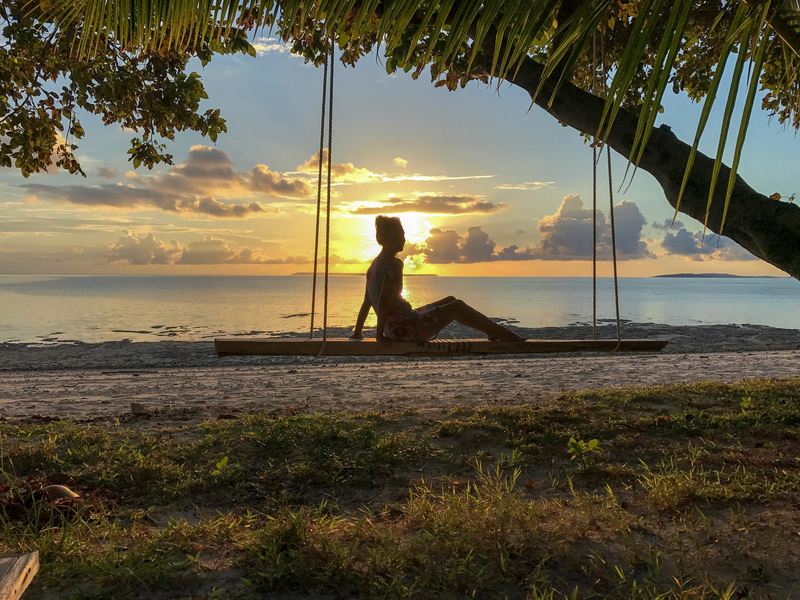 I love following their story on social media as they are always posting about new wildlife they have encountered; from hammerheads and oceanic mantas, to dugongs and pygmy seahorses. I feel very lucky to have had the opportunity to dive here before the area has become too famous/easily accessible. To say “it took quite some effort getting here from our travels around Sepilok”, is perhaps an understatement. 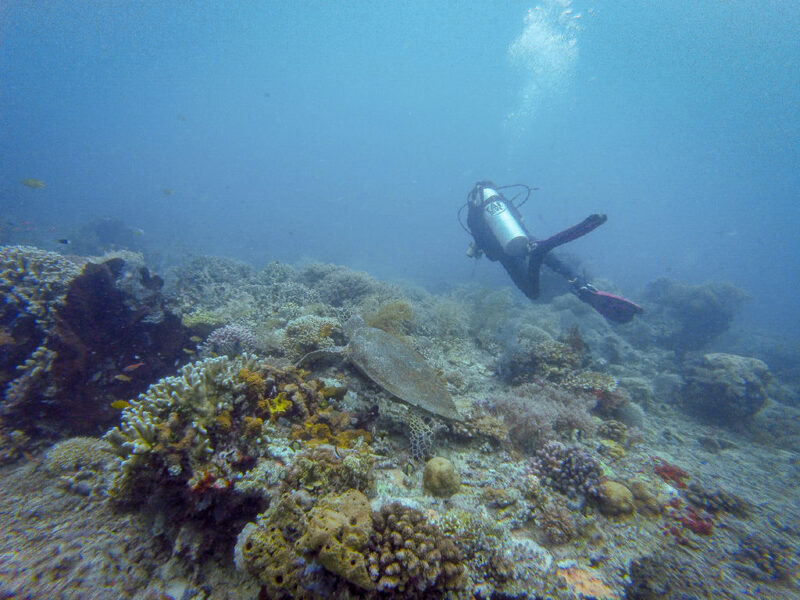 But the world-class, unspoilt dive sites were definitely worth the 2 flights and 2.5 hour speed boat journey from Tawau. 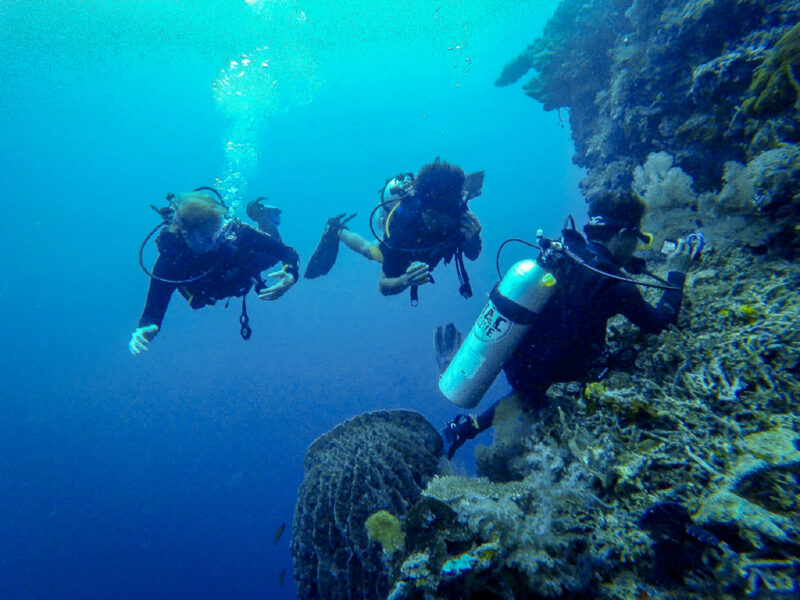 Despite being called Scuba Junkie Sangalaki, the dive accommodation is located on the more central Derawan island. The accommodation was great, and we embraced the local culture as there are no “restaurants” here. 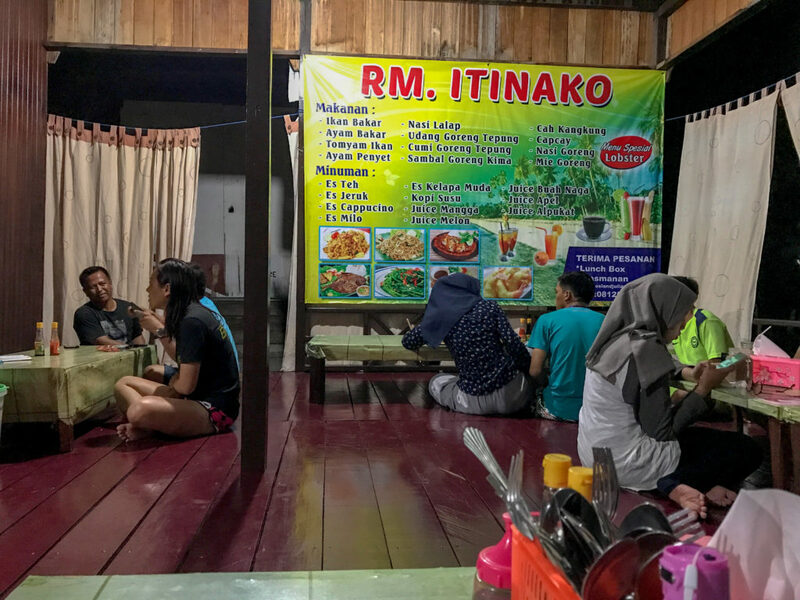 Dining in the local warungs was certainly cheap, with dinner (Nasi Goreng) costing just 62,000IDR (£3.50) for both of us! 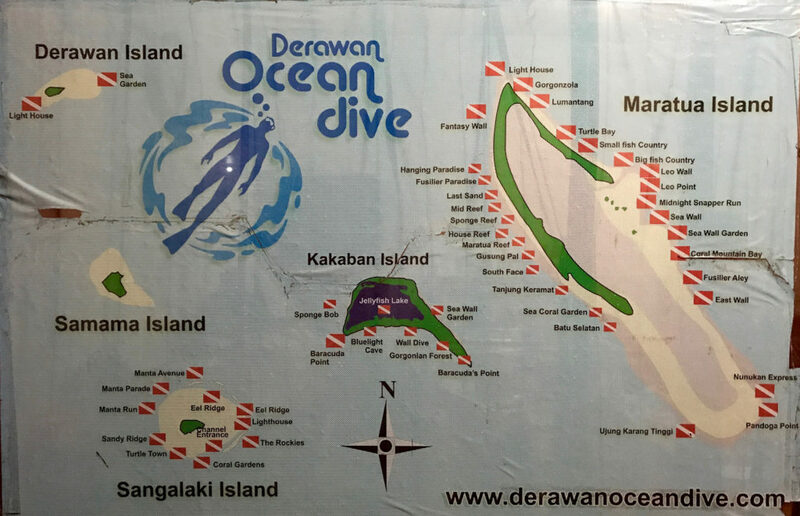 Our first day of diving with Scuba Junkie was around Derawan island itself. This meant a nice short boat ride and the potential to return to Scuba Junkie for lunch should the tide allow. 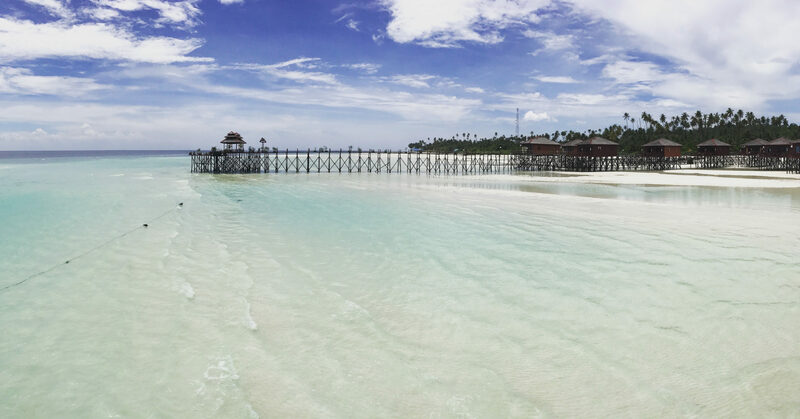 The corals were in great condition – the whole of the Derawan archipelago is stunning, probably due to it still being a bit of a secret gem! 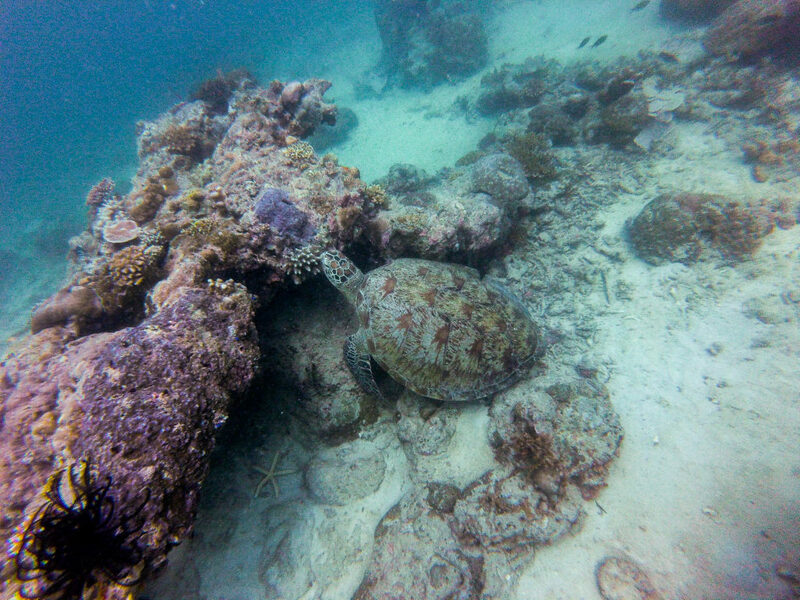 Unfortunately, for our dives, the visibility wasn’t too great but we still saw lots of beautiful reef fish. We already knew that Derawan is home to an abundance of turtles, having seen them grazing right outside our over-the-water bungalow. 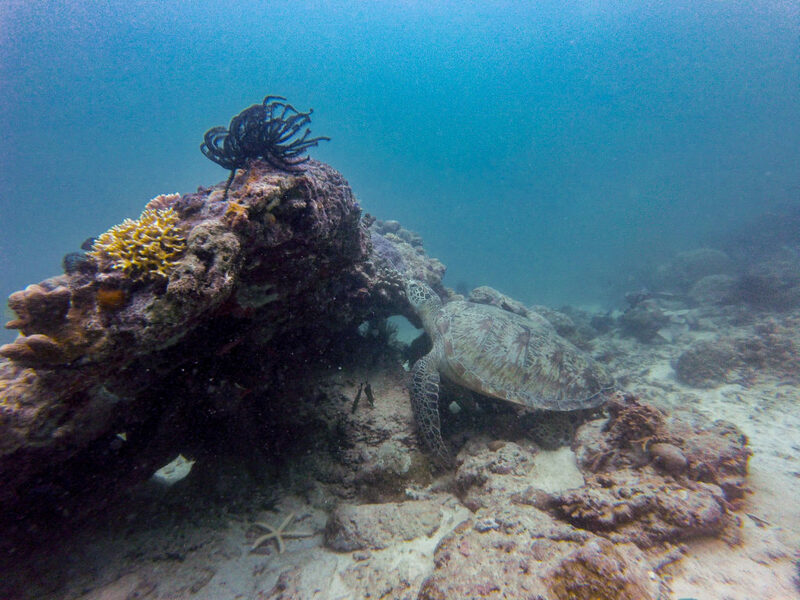 Our second Derawan dive was my favourite because we saw SO MANY TURTLES! 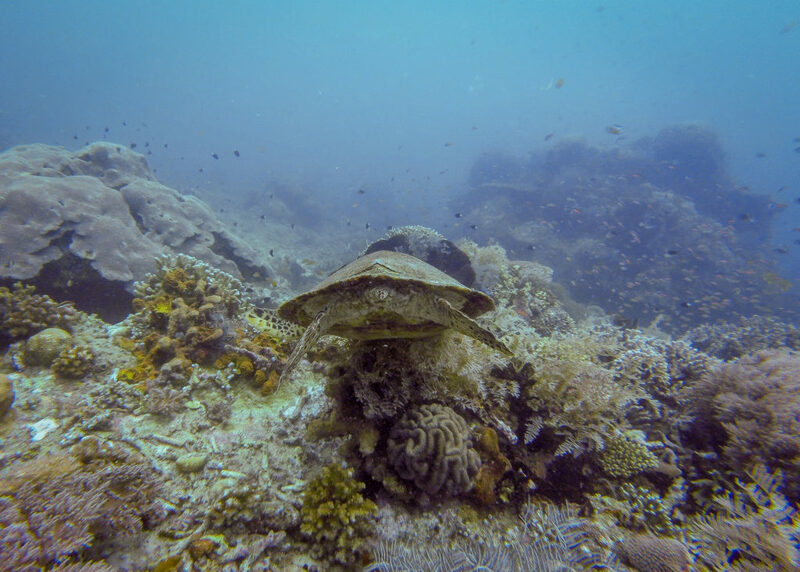 Although nothing beats your first encounter with a new sea creature and that dive on Marlin hill, Gili Air will always be special to me! 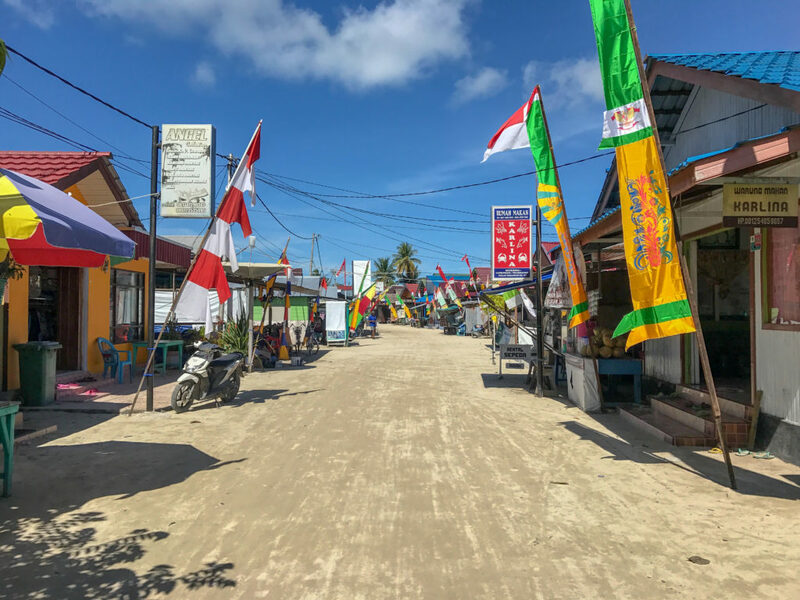 Just as Derawan is known for it’s turtles, Sangalaki is the place to go for mantas! After our disappointment of being basically the only people to dive Komodo and not see a manta ray, we had high hopes for Sangalaki. We boarded the boat at 7:45am and were immediately handed life jackets and told “it might get a bit choppy”. We arrived after 45mins, absolutely soaked! Good job we were going diving. 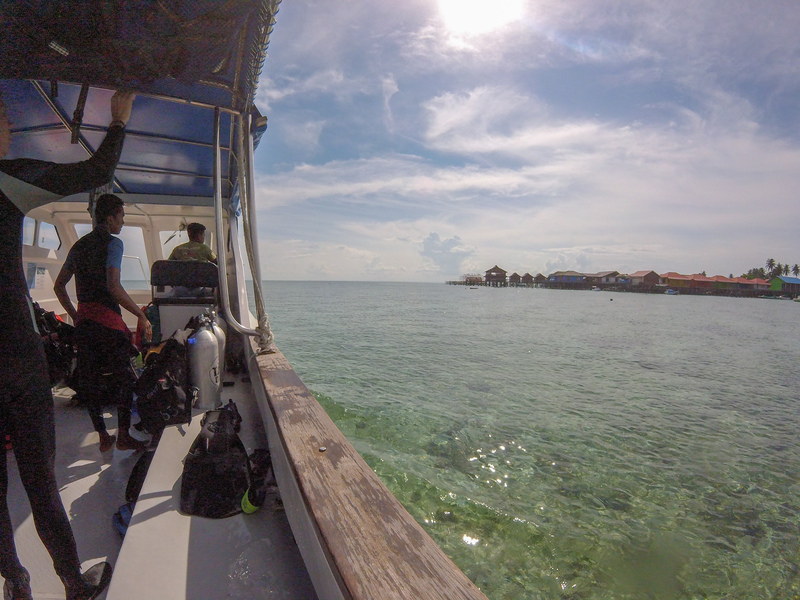 The island was beautiful and our first dive was incredibly pretty, with loads of big reef fish… but still no manta. During the surface interval, Fadly, our dive master, said the currents were being very strange. He always kept us safe though. 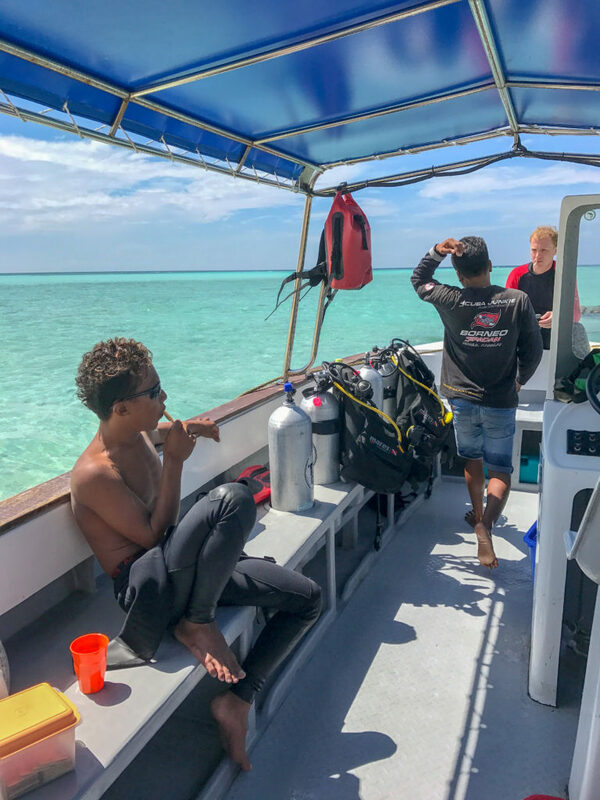 We were so impressed with the Scuba Junkie team; always putting safety first and diving in groups of 4 or less. On our second dive, we were struggling to get down due to crazy up-currents but they died down enough for us to explore. Another lovely dive site, but still no manta! We were beginning to wonder if we had a manta curse! 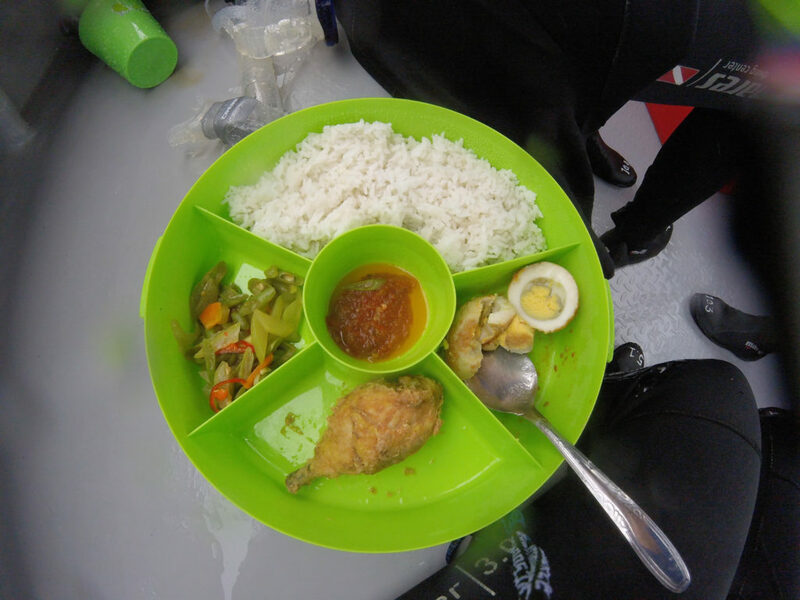 Diver’s lunch.. can’t get enough rice! 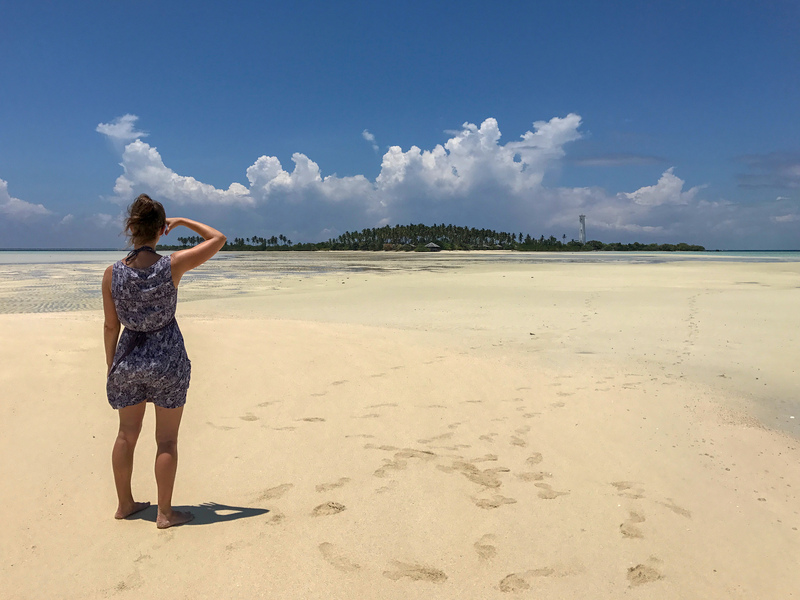 The tides were very low over lunchtime, so we didn’t go onto Sangalaki island… but we did spot a manta! Next thing, there were a few right by the boat! We quickly grabbed our gear and rolled in. 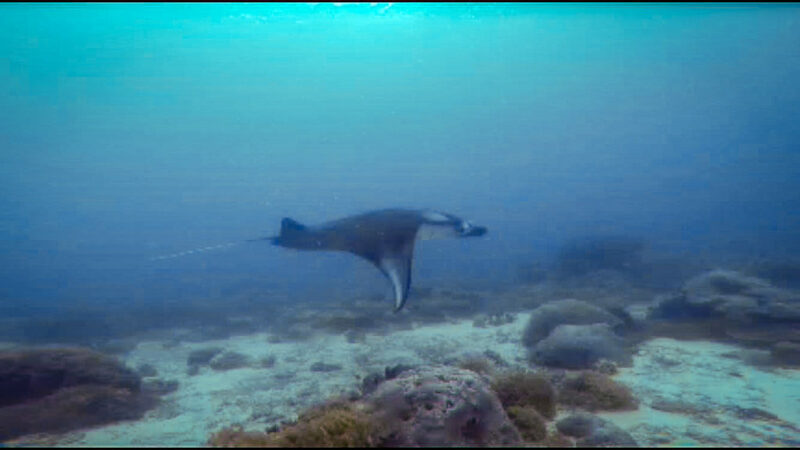 The manta was still there waiting for us, swimming around a cleaning station. He hung around for a while, swimming through our bubbles and being videoed. We saw a couple more on the dive as well! We resurfaced with huge smiles on our faces, manta mission accomplished! Although now we’ll want to see them time and time again! 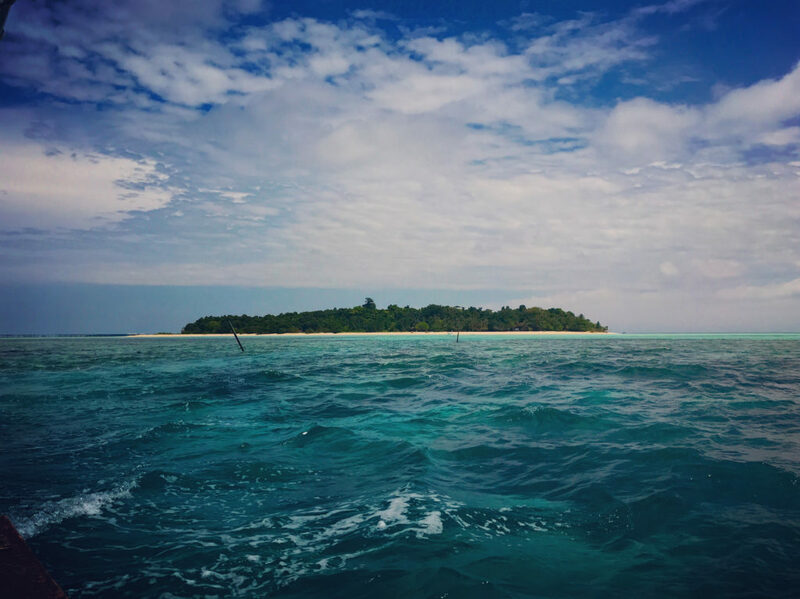 Kakaban island: Wall diving, sharks, schooling tornado-ing barracuda, pygmy seahorses and A STINGLESS JELLYFISH LAKE! Our 3rd and final diving day greeted us with rain! 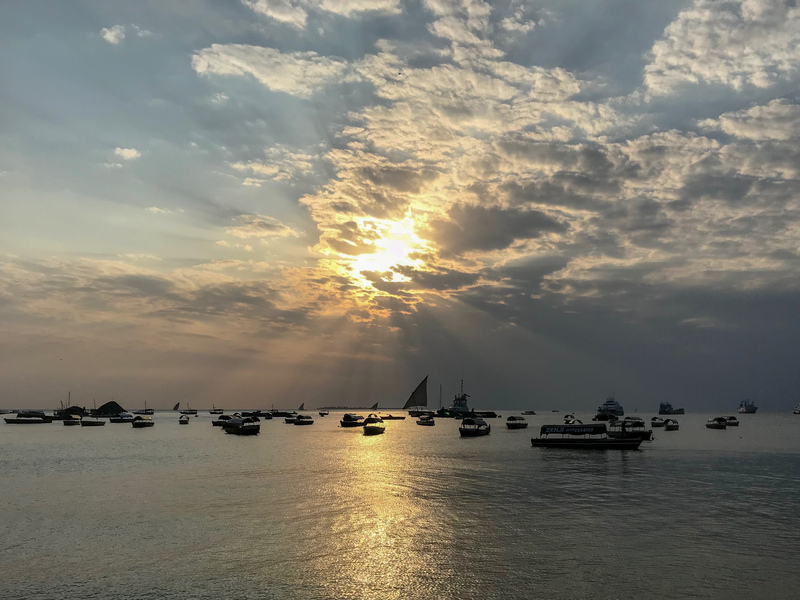 It was cloudy as far as the eye could see; putting us in two minds about whether we should make this our rest day and dive on Maratua instead. But the stingless jellyfish lake was calling! Another choppy hour speed boat ride and we made it to Kakaban. Barracuda point was our first dive site and it was insane! As soon as we dropped in we saw a big grey reef shark. Fadly was cracking a bottle getting it to come closer! We saw loads of other really big fish, schooling and hunting. Then we spotted the barracuda, starting to circle and form their tornado. It was awesome! 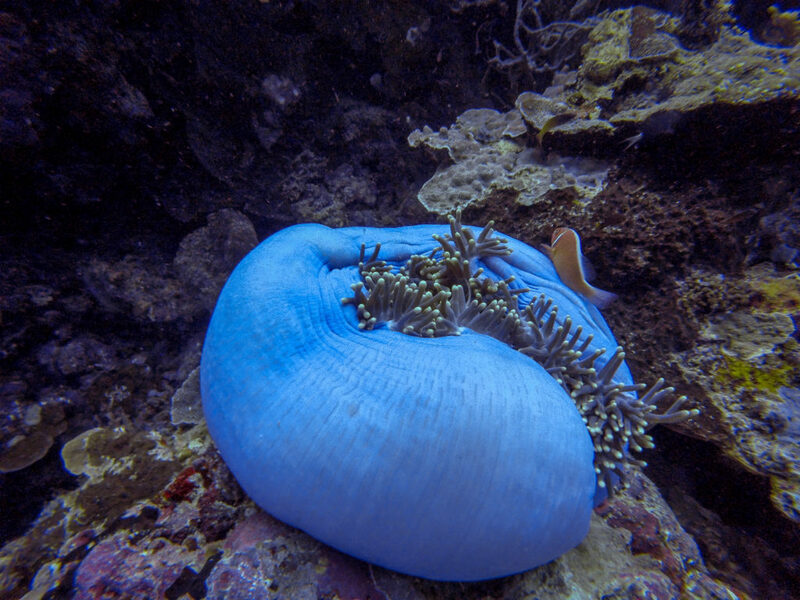 The rest of the dive was really cool too – my favourite dive site of the trip. We saw lots more sharks, hiding under rocks and swimming around the bottom. The boat was quite rocky after the dive and Rob was quite badly sea sick. He still came to the surface interval at the jellyfish lake though. It cost 50,000IDR for 3 of us and after a short, rainy walk through the forest we made it to the lake! 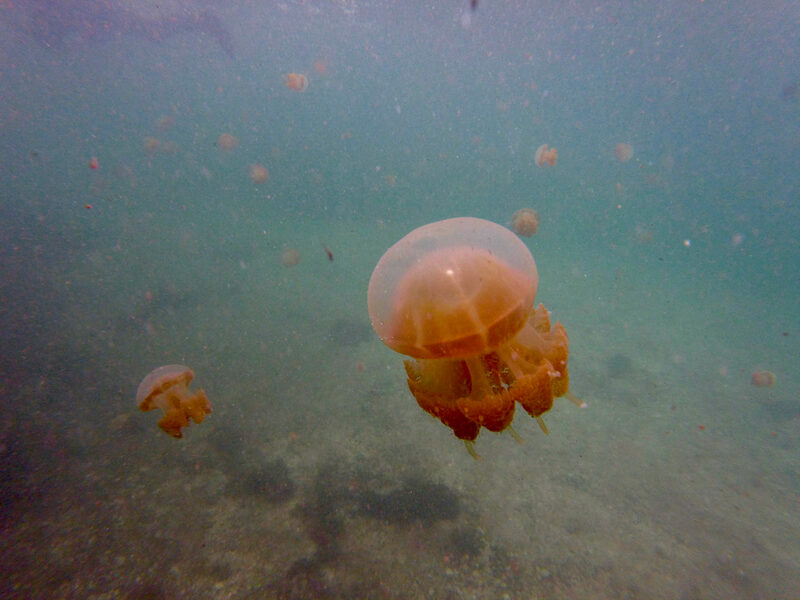 Swimming in Kakaban island’s stingless jellyfish lake. After visiting the lake, Rob still wasn’t well so didn’t dive for the rest of the day, and although the other dives were spectacular, the first was the best. We did find pygmy seahorses though – they really are so tiny! Less than 1cm tall; it blows my mind that the dive masters can spot them! Searching for nudi’s and pygmy seahorses! The boat ride home was amazing, we had a pod of dolphins dancing around underneath the boat! They were loving it and banging the boat and whistling was encouraging them even more! You can see them on our vlog and even hear our giggles as they splash us with their blowhole! P.S. 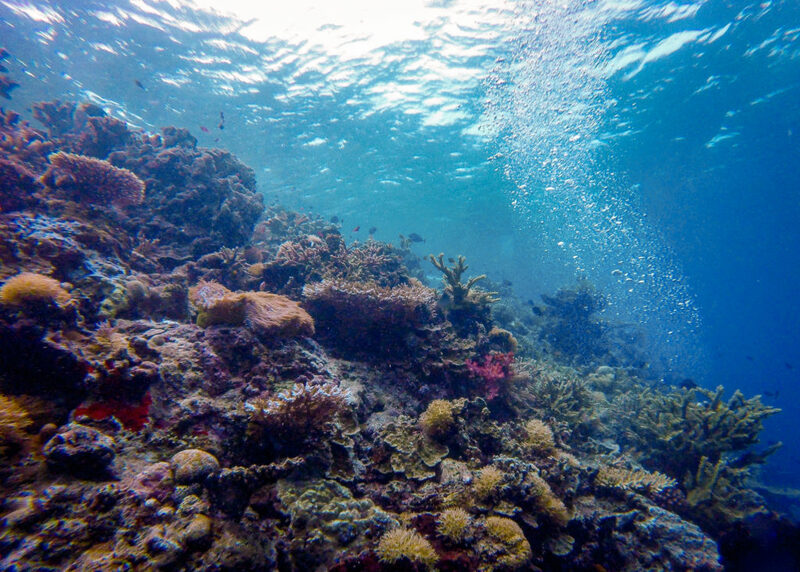 Unfortunately when we visited, we did have a bit of a cashflow issue… but there is opportunity to snorkel with whale sharks here too!